Minnie panya, kipanya with Red Hair. 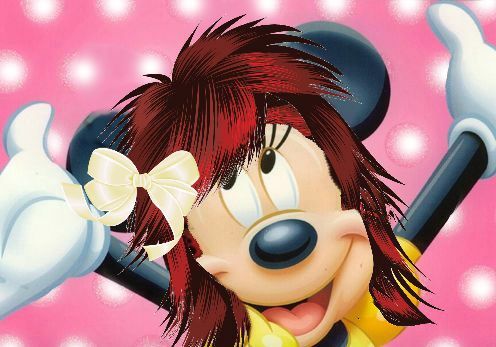 A modified picture of Minnie that I added hair to. Wallpaper and background images in the Childhood Animated Movie Heroines club tagged: photo disney heroine animated film minnie mouse. This Childhood Animated Movie Heroines photo contains bouquet, corsage, posy, and nosegay. There might also be rose, rosiness, rosiness rose, hippeastrum, hippeastrum puniceum, camellia, and camelia. Looks like Minnie is trying to be Reba McEntire lol. LOL. Yeah she kinda does.